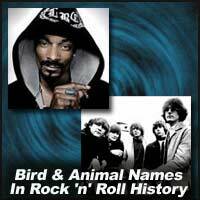 As we continue our series about bird and animal group names in rock and roll history, lets explore a few obscure band and individuals that fit our criteria. Before anyone ever heard of Ry Cooder, Leo Kotke, Richard Thompson and others who were mesmerizing their fans with the keen ability to hop from genre to genre, an American folk musician Sandy Bull cleverly blazed the trail. An accomplished player of many instruments including the middle-eastern oud, the acoustic guitar, banjo, bass, pedal-steel and electric guitar, Bull was one of the first to produce extended instrumental pieces for the guitar that blended elements of folk, jazz and Indian and Arabic influences into a tightly structured musical format. His first album Fantasias For The Guitar & Banjo, (Vanguard 1963) exemplified his penchant for the previous mentioned skills, adeptly blending non-western instrumentation and improvisational folk with extensive use of overdubbing and multi-track tape recording techniques. He utilized overdubbing as a way to accompany himself and be able to play all the instruments on many of his recordings. The LP was not a million-seller it had no hit singles, but contained enough rare and unconventional music that helped to put him on the musical map. On his second album, the incomparable, Inventions For The Guitar & Banjo, Bull added more instrumentation and some electricity to his repertoire and included a twenty-four minute song, "Blend II," on which he added an electric element to his signature song from his first LP. He also added two versions (electric and acoustic) of a Bach passage and closed the album with a heavy cover of Chuck Berry's "Memphis, Tennessee." Another album, E Pluribus Unum was released in 1968, however by that time Bull was suffering from drug addictions that affected his musical talents. In the 1970s, he dropped out of music altogether due to ongoing drug problems, although he began recording again in the late '80s. On April 11, 2001, Sandy Bull died of lung cancer at his home just outside of Nashville. Moose was a British indie band that was formed in London in 1990. The bands main claim to fame is that they have been credited by some as being the first group to be labeled shoe-gazers. Ironically, this wasnt due to their style of music it was because during an early gig, vocalist/guitarist Russell Yates read the lyrics to some of the groups songs that were taped to the floor. In fact, the bands first three EPs are the only releases that feature the intense guitar effects that have often been associated with the music genre shoe gazing. When the band release their first full-length album in 1992 called XYZ, the band was playing more of a jangly-country pop sound. The band recruited Mitch Easter for production and Dolores O'Riordon of the Cranberries for harmony vocals on one of the tracks. However, this LP sold poorly and consequently the band was let go by their record label. They signed on with Play It Again Sam Records and released two more albums, 1994s Honey Bee and Live a Little Love a Lot. Despite critical acclaim, the albums sold poorly and the band wound up taking an extended hiatus before returning in 2000 with the LP High Ball Me. The alternative pop rock duo Cardinal was a side project of singer/songwriter Richard Davies and composer Eric Matthews. Releasing only one self-titled LP (1994), Cardinal weaves lush orchestral arrangements with layered horns and cascading piano work that makes one recall the multidimensional sounds of late 60's pop music (including the Left Banke, Love and even the Smile era Beach Boys sound). With Davies compelling songs and lyrics blended with Matthews penchant for creative arrangements, Cardinal shines in efforts such as "Youve Lost Me There," "If You Believe In Christmas Trees" and "Dream Figure," to name a few. While the album was met with critical acclaim and was filled with easily digestible pop-rock, creative tensions split up the duo and both went on to solo careers. (There is also another band associated with Cardinal, one led by Ryan Adams, which we will explore in a an upcoming article). In 1968 a one hit wonder group called Iron Butterfly released the 1960's legendary song, "In-A-Gadda-Da-Vida." But the song, which peaked at number thirty on the Billboard Top 40, may seem dated now, but it is one of the first hard rock anthems to receive extensive radio air play and paved the way for future psychedelic bands on AM radio. Formed in San Diego, California in 1966 by vocalist/organist and bandleader, Doug Ingle, the group moved to Los Angles and performed in the club circuit and secured a recording contract. The group also toured with the Doors and Jefferson Airplane and their first album release Heavy established the bands signature sound, loud rocking guitar riffs, thumping drums and psychedelic organ. As the story has been told, the original title for the song "In-A-Gadda-Da-Vida" was "In The Garden Of Eden," but the band was so stoned at the recording session the mumbled words of In-A-Gadda-Da-Vida have become the epitome of acid-rock and a classic album in any vinyl record collectors cache. A shortened version of the title track, which contained extended instrumental passages with loud guitars and classical/Eastern-influenced organ, plus a two-and-a-half-minute drum solo, reached number 30 on the singles charts. The album was also the first album to receive platinum certification when the RIAA originally instituted the award. The groups next album, Ball secured the band a second straight top five album and while not as acid-rock laced as In-A-Gadda-Da-Vida, it was nonetheless a great rocker although the band did not duplicate the success and now legendary sound of their first and only Top 40 hit. After another album, Metamorphosis, which saw the group stray from their original sound with more musical experimentation the group disbanded although they tried unsuccessfully to recapture their magic formula. Keep watching DigitalDreamDoor for more articles about bands and individuals named after birds and animals! Bull is well known for his arrangement of Carl Orff's composition Carmina Burana for 5-string banjo on his first album, which was included on an album of R.E.M. 's favorite songs. Bull primary played a finger-picking style of guitar and banjo and his style has been compared to that of John Fahey and Robbie Basho of the early Takoma label in the 1960s. "High Ball Me!" "Live a Little Love a Lot" and "Honey Bee" are available on iTunes and several of the band's videos are up on youtube. Moose was formed in early 1990 by the songwriting team of Kevin (K.J.) McKillop and Russell Yates (Yates had appeared in an early incarnation of Stereolab), plus drummer Damien Warburton and bassist Jeremy Tishler. One of the group's songs, "This River Will Never Run Dry" is included in The Brit Box: U.K. Indie, Shoegaze, and Brit Pop Gems of the Last Millennium (4-CD box set compiling 78 UK bands). The members when In-A-Gadda-Da-Vida was recorded were Doug Ingle (keyboards and vocals), Lee Dorman (bass guitar), Ron Bushy (drums), and 17-year-old Erik Brann. The infamous line-up of Iron Butterfly got together for the Atlantic Records 40th Anniversary concert and celebration, appearing on stage along with the surviving members of Led Zeppelin, and with Aretha Franklin among many other acts of the company's roster on May 14, 1988. On October 3, 2002, original guitarist/vocalist Darryl DeLoach died of liver cancer at the age of 56. On July 25, 2003, Erik Braunn died of cardiac failure at the age of 52. He was working on a new solo album at the time of his death, however the album remains unreleased, although friends and family of are working on releasing the album. Its reported that the band had been booked to play at Woodstock, but got stuck at an airport. When their manager called the promoters of the concert, they explained the incredible situation they had been dealt and asked for patience. However, the manager demanded that the Butterfly be flown in by helicopter, whereupon they would "immediately" take the stage. After their set they would be paid and flown back to the airport. The manager was told that this would be taken into consideration, and he would be called back. In truth, his outrageous demands were never given a second thought. Dorman later expressed regret at this turn of events, feeling the band's career may have gone further had they played the festival.